Overshadowed by the massive Panama Papers leak, another series of recent reports have shed new light on illicit relations between Western organizations and senior officials in both Kazakhstan and Azerbaijan. As detailed by Australia’s Fairfax Media and the Huffington Post, a trove of leaked emails have revealed how Monaco-based Unaoil acted for years as a “bribe factory” between Western corporations — Halliburton and Kellogg, Brown & Root (KBR), namely — and numerous Caspian clients. Globally, according to the outlets, Unaoil was tied to “billions of dollars of government contracts [that] were awarded as the direct result of bribes paid on behalf of firms” like Halliburton and KBR. 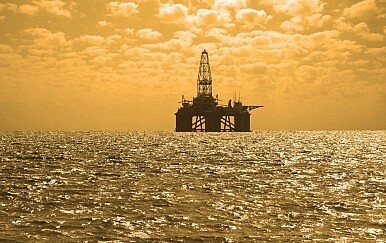 The new information comes from a series of hundreds of thousands of emails linked to Unaoil’s chief executive, Cyrus Ahsani, resulting in the “biggest leak of confidential files in the history of the oil industry.” Unaoil, which “specializes in paying bribes for multinational clients,” according to the outlets, was raided by Monegasque authorities earlier in April as a result of the leak. Many of the “bribes-for-contracts” communiques centered on interests in Kazakhstan’s Kashagan project, one of the largest oil fields discovered in the past half-century. KBR, according to the emails, reached out to Unaoil in 2005 to land a services contract for Kashagan. As the KBR manager wrote, “My feeling is that a good spaghetti house is where it is at; of course a little shashlick for lunch is good to digest also.” According to Fairfax Media and the Huffington Post, the “spaghetti house” was taken to mean the Italian company Eni, which jointly managed Kashagan at that point, while the “shashlick” were Kazakh officials. Further emails, including one from Unaoil executive Peter Willimont, continued this code. “We need to convince [KBR]… that we own the Spaghetti House & have a lease on the Shashlik takeaway,” Willimont wrote to Ahsani. “This done we can get our deal signed.” Soon thereafter, Unaoil received a pledge of $10 million in commissions from KBR – setting the stage for Unaoil to “brib[e] both Kazakh officials and Eni managers,” according to Fairfax Media and the Huffington Post. One of the middlemen Unaoil employed to bribe Eni, Leonida Bortolazzo, worked closely with Serik Burkitbayev, the former head of KazMunaiGaz and one-time adviser to President Nursultan Nazarbayev. According to one email, Bortolazzo noted that Unaoil had promised him $2.5 million to aid with driving business to KBR and others. In Azerbaijan, meanwhile, Unaoil utilized the services of Reza Raien, who connected Unaoil and its clients with senior Azeri officials. According to a KBR memo, Raien has “access to every office” in Azerbaijan, and was “very close to the [Azeri] President and his family.” The emails noted that Raien managed to obtain confidential government information from an individual code-named “V1,” later identified as Valeh Aleskerov, the deputy speaker of Azerbaijan’s parliament and former official with SOCAR, Azerbaijan’s national oil company. Unaoil planned “to convince [Aleskerov] to leak details on a Caspian gas field project to benefit their clients,” according to the report. As it is, Fairfax Media and the Huffington Post noted that the FBI, Department of Justice, and anti-corruption organs in both the UK and Australia have begun an investigation into those implicated in the leaks, which stretch from the Caspian region to officials or organizations in Libya, Iran, Yemen, South Korea, Norway, Singapore, Algeria, Germany, Cameroon, and South Africa, among others. According to the emails, Unaoil even targeted potential connections in Turkmenistan and Uzbekistan — including attempts to employ a middleman who claimed he could provide access to Gulnara Karimova, whose involvement in corrupt dealings already stretches multiple continents.